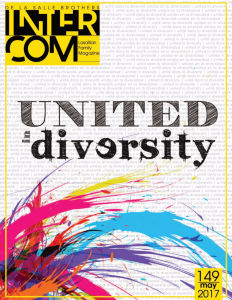 The new issue of Intercom focuses on unity in diversity and how that is lived throughout the 79 countries where the Lasallian mission is present. Intercom features two stories related to the Lasallian Region of North America (RELAN), including a story on Centre Notre-Dame de La Rouge in the Francophone Canada District. It also features Bethlehem University, the only Catholic university in Palestine, and an interview with Vice Chancellor Brother Peter Bray, FSC. The Institute of the Brothers of the Christian Schools publishes Intercom for the Lasallian family.